My family and I are currently travelling around the United States, so we are quite safe from the ongoing aftershocks, or the possibility of another major earthquake. I have been blown away by the words of support I have received from all over the World - particularly from the United States. People wanting to know how my family and I are, people wanting to know of a worthy relief effort they can donate to, and people wanting to let me know that they're concerned for us here in New Zealand. The Government has estimated that the cost of the cleanup could top 4 billion, and that New Zealand's GDP could take a 0.8% drop. New Zealand's Earthquake Commission which deals only with claims from house owners, not businesses, has received 49,024 claims and it is expecting around 100,000. 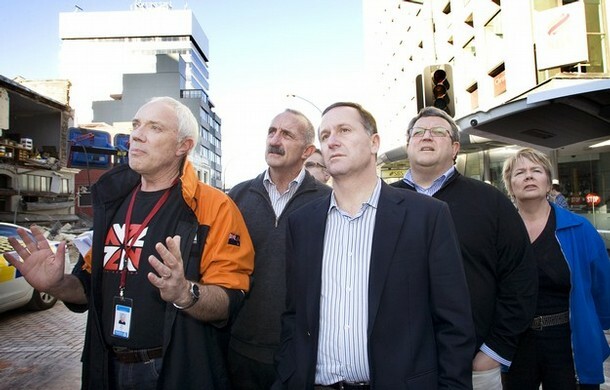 Prime Minister John Key stated today that "The Canterbury earthquake will be the most costly natural disaster New Zealand has ever faced". Still, for a country the size of New Zealand we're doing pretty darn well, pulling together as a nation and without other nations rolling in to help, - as so often tends to happen. There have been over 400 aftershocks over magnitude 2 or more, including three 5.4 magnitude aftershocks. Some of these aftershocks have done futher damage to the city. Regularly updated details of the ongoing aftershocks can be viewed here. Politically, the earthquake is set to majorly shake up the City Council election in Christchurch which will take place on October 9, 2010. Communist, and current member of Parliament, Jim Anderton had been leading in the polls against incumbent, National Party-endorsed, Bob Parker. However following the earthquake, and with Parker being dubbed as the "Rudolph Giuliani of Christchurch", it is looking very likely that Parker will take the mayoralty. Add to this the controversy over Anderton's stated intention to remain a member of Parliament while he took on his new job of mayor, and you can see that things are not looking very rosy for him.Sadly this is nothing to get very excited about, as Bob Parker surely enjoyed overspending rate-payers' money just as much as Anderton would if he got the chance. Click here for a recent update from one of New Zealand's better newspapers, the NZ Herald.